HelpfulCrowd is an app that can easily enable you to add product reviews to your online store. HelpfulCrowd currently integrates with Shopify, LemonStand and Ecwid eCommerce. Product reviews are critical for your online business success. Not only do product reviews add authority and trust to your product pages, they also come with SEO benefits. Product reviews can help your products rank higher in search engine results thanks to the fresh new content created by customers who review your products. They can also help increase your average order values. Product reviews are ratings, authentic comments and feedback customers provide on products they purchased to help other customers decide if they would like to make an order. In eCommerce, product reviews should be a key part of your online business. They are used on all authoritative shopping sites to enable customers to rate their favorite products and also leave comments and feedback on items they purchased. Product reviews can be used as part of your business’ branding strategy and can enable you to build loyalty and trust with new customers. Moreover, they allow you to establish your company as an experienced, genuine brand that is selling high-quality products. While most product reviews can and should be given for the quality of a product, many people also choose to review the company shipping policy, price or customer support. If you want to make sure you always get great reviews, you should focus on providing a complete buying experience to your customers, not just high-end products. Product reviews are crucial for your online business. They can very tangibly help your store to grow. In 2019, it is a proven fact that savvy shoppers will rarely purchase a product from a site that has no reviews. People will read both the good and bad reviews to make a well-informed decision, especially when buying from a site they’ve never purchased before. There are 3 main reasons why product reviews are super important for your eCommerce shop. Product reviews are perfect for injecting a good dose of trust into a customer’s buying decision. A review is an authentic opinion from a real customer. This is priceless for other customers who are thinking of purchasing that same product. Almost all shoppers read product reviews before making a purchase decision. Product reviews help potential customers answer precise questions they might have. If you sell clothing for example, knowing that a certain size fits large could be important for some leads. You may not have thought to put this information in your product description, but it could be added by a user who writes a review. It will help the new customer make a smart decision about your products and help you avoid customer support questions or returns. The large number of reviews on a site also boost your brand authority. Customers conclude automatically that a product with many reviews has been purchased by many customers, so this underlies the idea that the product is of high-quality and the description and photos are exact. Customers value transparency more than ever. They prefer to read real life experiences regarding how a product is used instead of looking for paid reviews on other sites. HelpfulCrowd can help you gather as many real reviews as possible in order to increase your brand’s trust and authority among new customers. We already know that user reviews bring in more customers and increase conversion rate, but what about SEO? HelpfulCrowd reviews on your products also make the pages index faster in Google. Search engines like Google, Bing and Yahoo are constantly looking for fresh content on pages, and consistant new product reviews allow you to have just that. 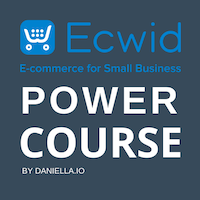 Learn how to boost SEO in your Ecwid eCommerce store and generate more sales in my Ecwid eCommerce Power course. It takes you through the process of declaring your site to Google Search Console, driving targeted traffic through social media and boosting your Ecwid eCommerce sales! Since most pages use the same product descriptions, they will be ranked lower by Google. However, if you have a unique product description, plus you also have some unique reviews, search engines will be pleased to provide their users value. They will immediately index your content and allow you to rank higher in SERPs for certain queries. Product reviews are also considered to be rich snippets. When your product reviews are correctly formatted, they help increase your Click Through Rates (CTR) from search engines. According to SEO specialists, product rich snippets can increase your CTR by as much as 30%. They also increase your visibility in search, display, reviews and news queries. HelpfulCrowd is optimized for rich snippets. Another huge SEO benefit of customer reviews is that they improve your ranking for people searching specifically for reviews on your products. For example, if you sell custom t-shirts, you’ll start ranking for “custom t-shirts review” and “custom t-shirts reviews”. "So if you bolt on question and answers features as well, generally what you’ll see is also an 11% increase in the value of your basket from just having reviews and questions and answers together on your site." An awesome feature offered by HelpfulCrowd is the ability to answer customer’s Q&A’s. According the the company’s founder, activating this feature can increase the average order value by 11%. When it comes to reviews, you need to make sure that you don’t have only 5-star reviews. Customers are becoming increasingly aware of fake reviews, so they’ll stay away not just from low-rated products, but also from 5-star rated products. According to recent statistics, the highest point of conversion have products with an average star rating of 4.3. HelpfulCrowd allows you to collect authentic customer reviews quickly and easily. 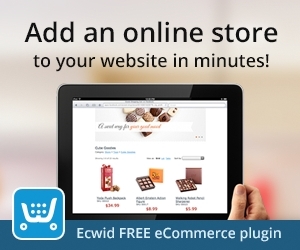 What can HelpfulCrowd Do for your Ecwid Store? HelpfulCrowd is a powerful review app that helps you take advantage of automated review requests from customers. You can use HelpfulCrowd to collect authentic reviews and leverage the true power of product reviews for your site. This app is 100% GDPR compliant, so you can grow your business while staying protected from any GDPR fine or penalty. This app offers the easiest and safest way to collect real reviews for your products. Scott Stewart, the founder of Helpful Crowd, had numerous problems with LittleBlue and other reviews apps that integrate with Ecwid. He decided to fix these issues by designing a top-notch, seamless app called HelpfulCrowd. Thanks to the product he and his team built millions of Ecwid users can now leverage the power of product reviews and seamlessly add reviews into any site, platform or app. 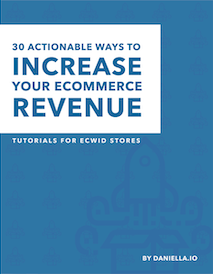 Learn more about Scott’s journey in his interview on the Ecwid eCommerce Podcast below. So how does this system work for your Ecwid store? As an automated review platform, 7 days after a customer makes a purchase, they will receive an automatic email asking to leave a review. The review they leave is automatically placed on your website, below the actual product. You can also interact with your customers on a 1-to-1 basis and ask for manual reviews. If the customer does not leave a review after receiving the first email, they will receive a second email requesting they leave a review 5 days later. This platform also allows you to answer questions from your customers. It has an integrated, automatic Q&A feature, that allows you to answer your customers questions in real time. Both reviews and questions you get via this tool are real, come straight from customers who have purchased or want to purchase your products. What’s amazing is that even customers who have not made a purchase can ask a question, right on the product page. You can then answer the question, and the answer will appear below it. Thus, you can grow organically by integrating long tail keywords into your answers. As you ca notice, each review is stored in a separate box that contains a helpful button, the date of the review and a verified buyer tag. You can also share the reviews right on your social media platforms. This unique feature makes it easy for people to share their favorite products online or showcase the features of a product described in a review. Once you find the app in the store, click “Get app” and wait until it is installed. Once the app is installed, you will be automatically redirected to the Ecwid dashboard. That is where you will be able to set it up and approve reviews. Negative reviews are by far a merchant’s biggest fear. Too many negative reviews and your products might hardly sell anymore. Nevertheless, the truth is that negative reviews also present a huge opportunity for your business. They enable you to showcase your unique personality and present your business as a growing company that is willing to accept feedback and improve the products/processes. The first thing when responding to a negative review is to not take it personal. You need to be professional in all your words, calm, and come up with a personalized resolution. In case you don’t have an answer at the moment, simply say that you’ll focus your time on finding a solution ASAP. People will then feel valued and will understand that their opinion matters to you as a brand.